For most, the idea of have the space to relax on a flight is a pipe dream. Thanks to iFLYflat, SME executives can travel in that rarefied air. For most people flying flat and getting some shut-eye on an international flight is unaccustomed luxury. Trying to sleep sitting upright is one of the more testing experiences of flying economy. Others include the stock-standard airline menu, a lack of complimentary French champers, standing in interminable queues to check baggage or book in, and not disembarking from planes until first and business class passengers have already left the airport. It costs an absolute motza to be on the upside of this airline segregation. A first-class fare from Sydney to Heathrow costs as much as a small car. For a few months of his life Steve Hui found time to ponder these matters. He was between jobs with a pile of points to spend on international air travel. His experiences led to two landmark insights. 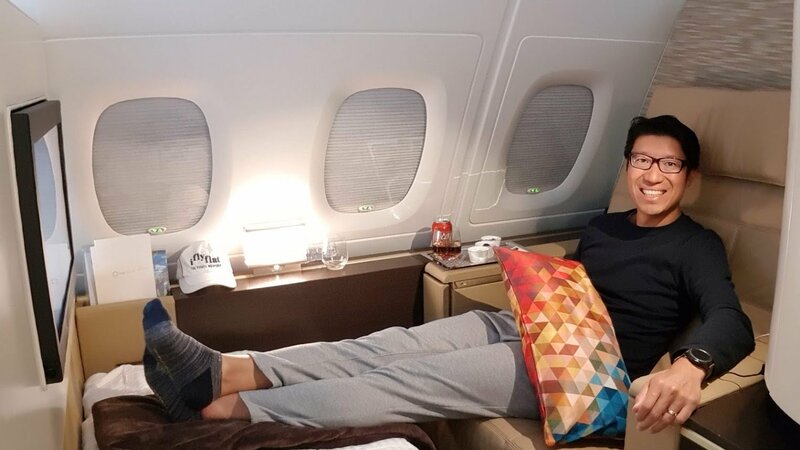 He realised that even business class on international flights was a luxury beyond the means of most top executives in small and medium businesses. He considered that to be a most unfair impost for people who routinely work their backsides off. 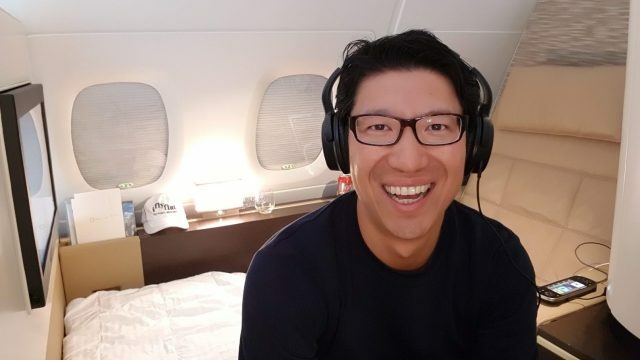 It then struck him that if SMEs paid as many of their corporate expenses as possible using an optimum selection of credit cards this would unlock a hidden value that would bring business class travel within regular reach of their top executives. Steve discovered that most corporate business expenses can be paid by credit card including PAYG, suppliers and rent. In fact the only major items which don’t qualify are wages, loan repayments and leases. Steve’s entrepreneurial and accountancy instincts sensed a business opportunity and he founded iFLYflat six years ago. There are two parts to this highly successful business operation. iFLYflat operates as a credit card points consultant to business clients. It selects the optimum mix of business credit cards for each client to achieve maximum travel benefits consistent with their most regular flying destinations. It has no peer in navigating the maze of airlines and credit cards and identifying optimum strategies. It is also a travel agency with an uncanny knack of securing the exact flying itineraries required by clients while at the same time securing highly advantageous deals that are paid for with their points. iFLYflat is highly skilled at integrating points from a range of sources, frequent flyer and various credit cards, into one homogeneous – some might say magical – package. These are the skills that have earned Steve Hui the title of “The Points Whisperer”. A one-off fee of just $3,499 secures the points consultancy service that enables business clients to maximise their company points haul, turning payments for everyday business expenses into flight rewards. A business class ticket booked with accumulated points to Asia or other countries within the region costs $1,500, and a business class ticket to the UK, US and the rest of the world costs just $2,500 – and that covers all ticket taxes and fees – a far cry from regularly quoted prices around $8,000. 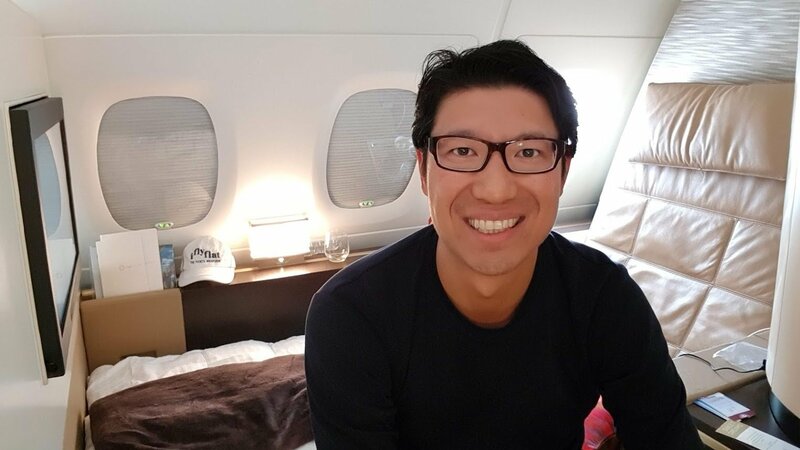 Steve’s breakthrough idea has unlocked the hidden value that today provides unprecedented opportunity for many top SME executives to fly business class. His organisation offers a travel service that is absolutely unique. Clients love not only their new access to luxury travel but also the fact they’re not involved in the highly complex business of arranging it. The travel benefits to small and medium businesses are incomparable. You can begin the process of sourcing the hidden travel value in your business by going to www.iflyflat.com.au, emailing steve.hui@iflyflat.com.au, or speaking to Steve direct on (02) 9258 1115. Flying flat on international flights means you’ll always be your cheerful upright self on arrival.